On Tuesday 11th September 2018, two of our specialists were key speakers at an event with the department of the international trade at Mulberry House, to talk to small business owners and marketing managers about the ‘Increase in overseas sales through e-commerce’. Our presentations covered SEO (Search Engine Optimization) and internationalisation, as well as PPC (Pay Per Click). There were also additional topics around Amazon, social media and google analytics from speakers from Socialb and Montage Communications. The morning started with biscuits, pastry’s and as much coffee as you could drink after an early start. There was a mix of businesses and one- man bands that were attending the event but they all had one thing in common; they all wanted to step up their digital marketing game and Make More Money Online. One of our directors, Tom Jepson, kicked off his presentation by explaining the digital marketing audit and what is needed in each section, giving the audience an idea of the types of things they need to be thinking about going forward. Tom focused on presenting the importance of keywords and focus phrases, meta descriptions and the mobile first index. Furthermore, Tom explained how all of these can be adapted for you to take your business international, such as the importance of localization and location, as well as specific key word research. Dave Roscoe, our head of Business Development, woke everyone up again just before lunch with a quiz (we love a quiz!) to test our audience. We wanted to see if they knew what is better than Love. After a few rounds of everyone getting out someone finally got the answer- Donald Trump! This is an activity which got everyone thinking about google trends and rankings (and of course what is better than love). After giving out smarties to the winner, Dave started to dig into PPC (Pay Per Click) and how it can help small businesses increase internationalisation, explaining Ad links and domains, landing pages, segmentation and remarketing. The morning session was completed by a quick ask the panel, whereby the audience had the opportunity to ask each of the key speaker’s questions about the topics that were presented. This was followed by a quick lunch (time over ran slightly) before the afternoon session. 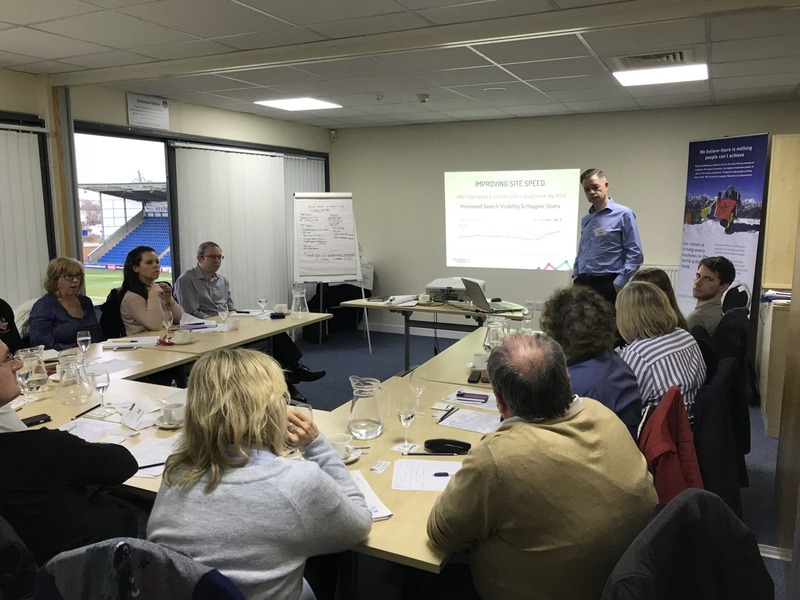 The afternoon session gave the business owners and the marketing managers an opportunity to ask the experts more specific questions about their own businesses and the exact type of things that needed to be done to increase their performance. Ideas such as tone of voice and content, contact forms, Google Ads and brand awareness are of the few topics covered with the questions asked. The day was ended with more cups of tea and biscuits before heading home. These DIT events are extremely informative and useful for anyone looking to Make More Money Online and to grow their business, so keep an eye out for the next one!